The Israeli municipal council in Occupied Jerusalem has annexed vast tracts of Palestinian-owned lands in the towns of Shuafat, Anata, and Walaja to expand the segregation wall and declared a plan to expand Ramot settlement. 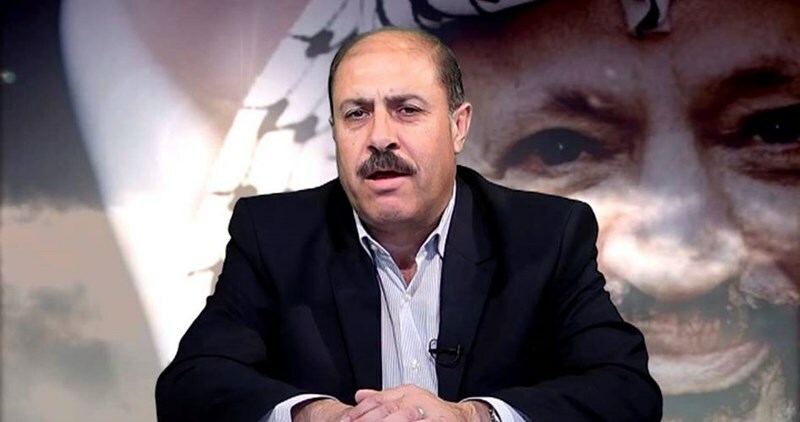 Khalil Tafakaji, head of maps department at the Arab Studies Society, said that the Israeli minister of finance had issued decrees to seize Palestinian lands in different areas around Jerusalem, including 45 dunums of land in the towns of Shuafat, Anata, and Walaja. The Israeli minister justified his annexation orders by claiming some of the lands would be seized for security reasons and others would be used for public interest purposes, according to Tafakaji. The annexed lands in Walaja, south of Jerusalem, would be used to expand the segregation wall and build a new crossing, according to the Israeli minister's claims. 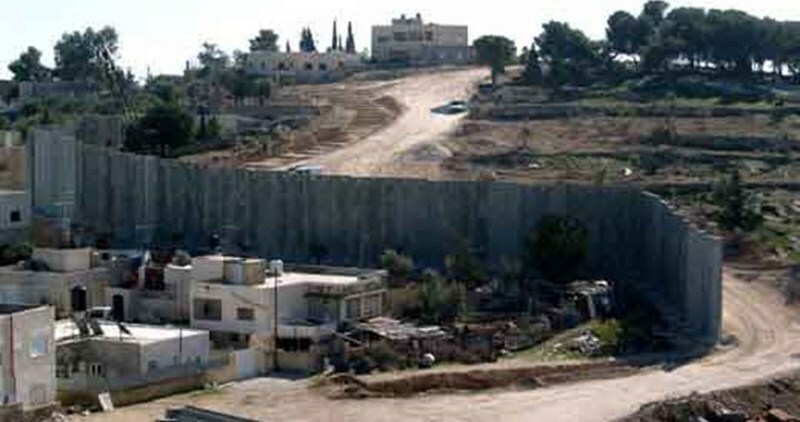 Tafakaji expressed his strong belief that the annexation of lands in Walaja town in particular is aimed at isolating Jerusalem from the West Bank. He also affirmed that the Israeli occupation authority in Jerusalem intends to expand Ramot settlement on more than 419 dunums of Palestinian land in the towns of Lifta, Beit Hanina, and Beit Iksa in Jerusalem. According to the plan, 1,435 new housing units and 240 separate houses (villas) as well as public facilities will be built in the settlement. US secretary of state John Kerry arrived in Amman on Saturday for meetings with King Abdullah II of Jordan and Palestinian Authority president Mahmoud Abbas in an effort to restart the peace talks and stop the escalating Palestinian intifada (uprising). This is considered Kerry's second visit to the region during the current intifada. He has tabled, during his first regional tour, ideas allowing the Jewish settlers to enter the Aqsa Mosque and proposing the installation of security cameras in its courtyards in a desperate attempt to ease the tension on the ground. According to the official Jordanian news agency, Kerry will meet with Jordanian King Abdullah II to discuss the latest developments in the Middle East and the occupied Palestinian territories as well as the mutual relations between the two countries. The US secretary of state will also meet with his Jordanian counterpart Nasser Judeh at the headquarters of the foreign ministry to discuss different issues of mutual interest. For his part, senior member of the Palestine Liberation Organization (PLO) Wasel Abu Yousef told Quds Press on Sunday that Abbas and Kerry would meet in Amman on Sunday to explore avenues of reviving the peace process and the Arab peace initiative. Palestinian President Mahmoud Abbas met on Sunday with United States Secretary of State John Kerry in the Jordanian capital of Amman, according to official Palestinian news agency Wafa. Abbas spokesman Nabil Abu Rdeina said the Palestinian president also spoke with Kerry about his ongoing efforts to organize international powers to come together for a peace conference and in calling or the UN Security Council to condemn illegal Israeli settlement expansion, the statement added. 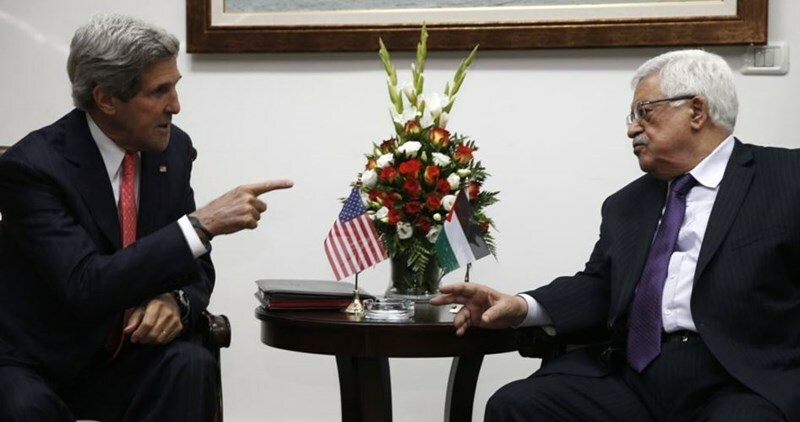 Rdeina also said Abbas updated Kerry on the latest initiatives for a Palestinian unity government with Hamas, after delegations from the Palestinian Authority and Hamas met in Doha earlier this month. Rdeina added that Kerry assured Abbas the United States would exert enough efforts to insure the viability of a two-state solution, so as to maintain security and stability in the region. Israeli media reported that Kerry had no plans of meeting with Israeli Prime Minister Benjamin Netanyahu during his Middle East trip. Netanyahu met with Kerry and US Vice President Joe Biden last month on the sidelines of the World Economic Forum in Davos, Switzerland. The European Parliament (EP’s) Delegation for relations with Palestine, expressed alarm at the deteriorating situation on the ground, calling for an immediate stop to Israeli expansion of settlements, and demolitions, said a press statement by EP delegation. 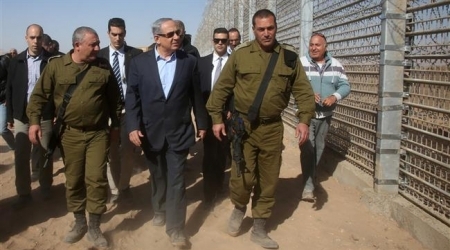 "Israeli occupation policies are a direct threat to the two-state solution. The expansion of settlements, demolitions, forcible transfers and evictions must stop immediately," Delegation Chair Martina Anderson said. "Palestinians need hope, freedom and human rights. The way to these is by ending the occupation." The EP delegation asserted, according to WAFA: "The EU must be a player, not only a payer,” stating that, “We are incensed by Israel's increasing number of demolitions of humanitarian structures funded by EU taxpayers. People are losing their homes in the cold and the rain. Israeli policies violate international law and show disrespect for the EU, Israel's biggest trade partner," Chair Anderson said. They cited the 'particularly alarming’ case of Mohammad Al-Qeeq, a journalist on hunger strike for 79 days. To be noted, over 500 other Palestinians, including minors, are currently detained without charge or trial. “Elections must be held as soon as possible. A united Palestinian leadership is essential for the two-state solution and for the future of Palestinian youth," Anderson said. Anderson slammed the Israeli authorities refusal to allow envoy into Gaza as 'unacceptable’. 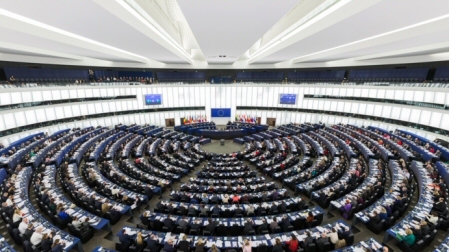 The European Parliament has not been allowed in since 2011. Reports were recently released on Israeli intents to build a Jewish synagogue beneath the Hamam al-Ein Islamic endowment property, a few meters away from Muslims’ the holy al-Aqsa Mosque. Sponsors of the bid are set to inaugurate the project sometime in the spring, with the advent of Jewish holidays. Other excavations are expected to be carried out in the area to pave the way for the construction of the site. The project is sponsored by the Wailing Wall Legacy Fund public company affiliated with Israeli premier Benjamin Netanyahu's office. 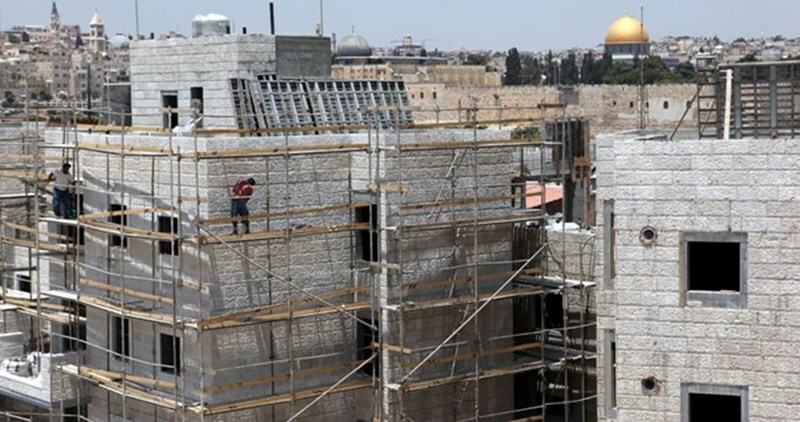 A series of pictures released by the Q-Press center shows the site as being built at the expense of the Islamic Mamlukiya historical hall beneath the Hamam al-Ein area, a few meters away from al-Aqsa’s Western Wall. A field visit to the area by the Q-Press team kept record of a set of Islamic sites and monuments dating back to the Ottoman Empire and which were transformed into Judaized halls and museums. Since 2002, the Israeli occupation authorities have been digging beneath and above Hamam al-Ein area and its vicinity in an attempt to wipe out the area’s typically Islamic character. Fatah leader in Nablus Tayseer Nasrallah said Tuesday the Palestinian-Israeli talks have reached a deadlock, calling on the Palestinian factions to back up the ongoing anti-occupation uprising. According to Nasrallah, the fact that thousands have been marching in the funeral processions of slain Palestinians is a sign of the mass-support for the national struggle for liberation. He added that as long as the Israeli occupation of Palestine remains a fact on the ground, the intifada will keep going. The Fatah official further said that maintaining peace talks with the Israeli occupation is no longer an option for restoring Palestinians’ national rights. Iroshalim Hebrew newspaper disclosed a new settlement project plan to be constructed over a land owned by a the Greek Orthodox Church in Abu Tour district in eastern occupied Jerusalem. 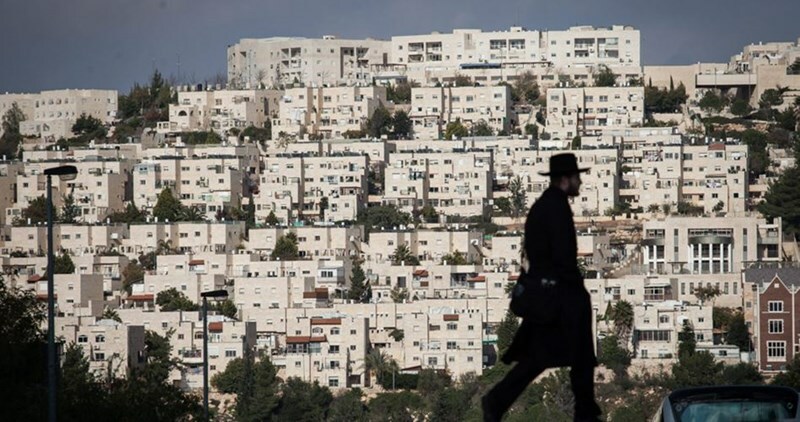 According to Friday's issue of the weekly newspaper, the plan includes luxurious settlement units overlooking the neighborhoods of Occupied Jerusalem in order to attract settlers. Housing structures and a hotel with an area estimated at ten dunums will be constructed over the plot possessed by the church and was let to Jewish investors one hundred years ago. About 400 residents signed a petition to object on changing that historic site and underlined that the area has no infrastructure. The plan is still in the first phase of construction, but coordination is going on with Israeli competent authorities, the newspaper stated. Israeli forces tend to implement settlement projects in Occupied Jerusalem via investment companies and settlement institutions under different names in order to cover its real objectives of establishing new settlements. Recently, deals with Christians have been made for selling or letting lands to Israeli settlement societies. Such deals sparked debates among the Christian figures who refuse the Israeli occupation and its aggressive practices. Israel's Cabinet voted Sunday to allow non-Orthodox mixed-gender prayer at the Western Wall of al-Aqsa Mosque in Occupied Jerusalem, a move opponents said marked a barefaced show of government support for extremist streams of Judaism. 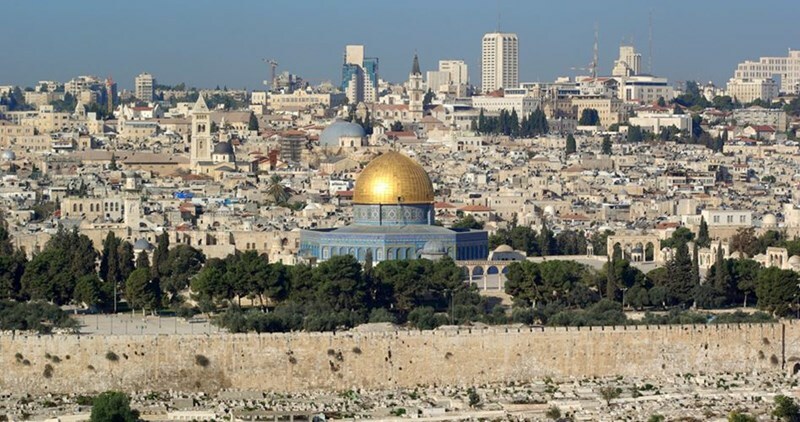 The Quds Information Center said the square where the prayers are to be held is located between the southern corner of the Western Wall and the Maghareba Gate at Muslim’ the holy al-Aqsa Mosque. 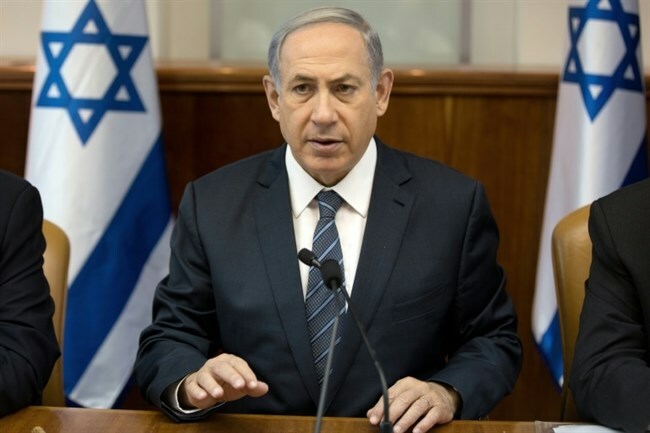 Israeli Prime Minister Benjamin Netanyahu reportedly pushed the plan despite stiff opposition by ultra-Orthodox and religious nationalist elements in Israel who are key members of his own government. The $10 million initiative will build a permanent mixed-gender prayer area where the temporary platform is today. It will also create new entrances to the Western Wall area so both Orthodox and non-Orthodox prayer areas will be given equal prominence. Head of the Supreme Islamic Council in Occupied Jerusalem, Sheikh Ekrema Sabri, said the Buraq Wall is part and parcel of the al-Aqsa’s Western Wall and has profound implications for Muslims in all corners of the world. Sheikh Sabri also said that the square adjacent to the Buraq Wall is an Islamic endowment property and a place where Maghrebians had set up roots before it was totally knocked down by the Israeli occupation. He slammed Israeli attempts to wipe out Occupied Jerusalem’s Islamic identity, saying such sacrilegious schemes are just unacceptable. Lawyer Khaled Zabarqa dubbed the plan a flagrant violation of Muslims’ rights and endowment property in the Buraq area, saying the Israeli occupation has neither legitimacy nor sovereignty over the site.